The best thing anybody's ever said to me about my tattoos is "no one cares." It was a phrase uttered in jest on the heels of my response to being asked why I have Bob Dylan's handwriting permanently etched on my forearm. Indeed, body art does not rank on the basic hierarchy of human need. One never needs a tattoo. The ink you choose will carry the significance you assign to it, and that is all. That is what I love best about the 40 (I had to count) of my own. What I love least: talking about them. I grew up in Texas going to conservative schools. I don't have a memory of the first time I became enamored with ink. In the dark recesses of my mind, I've mulled over the possibility of a through-line between tattooing and the incessant Southern habit of monogramming everything in one's possession. (Lunch boxes! Backpacks! Bible! All the trappings of my youth were custom-stamped.) The first tattoo I ever wanted was of initials. It raises an eyebrow. While I am loath to explain the meaning behind most of my own tattoos, I will enthusiastically field any number of questions about the process itself—especially from those looking to go under the gun for the first time. Everything about the art form fascinates me, from taboo cultural norms to needle technique. I love tattoos. Having them changed many things for me. I'm about to expound upon the how and why. Alternatively, if you've come here simply looking for some unsolicited advice, skip to the bottom of this essay and cruise through my answers to friends' FAQs on all things tattoo related. I started getting ink back when Instagram-famous tattoo artists were not yet a thing. As such, I found my first artist the old-fashioned way—through word of mouth. My first tattoo was on my rib at the age of 25. It is a Latin abbreviation done in my handwriting because the artist, Tim, said it "lost its charm" in any other font. Thus, I drew my own first tattoo, which is pretty cool, even if it wasn't my idea. It wasn't until my third or fourth tattoo that I landed on Lantz Huston, the artist who has been tattooing me for nearly a decade since. Social media is a gold mine for putting you in touch directly with any artist in the world. Tattoo artists, fine artists, musicians—anybody. DM and email the ones you love. When it comes to finding the right shop, I tapped Huston for his thoughts. "You definitely get what you pay for," he tells me. "Do your research and find an artist that has a style you like and or can execute that said style. It pays to take your time in finding the right fit. "Everyone wants a deal, but there are some things in life worth paying for," he continues. "Tattoos are definitely one of them. You are paying for a permanent piece of art. Don't try to bargain or haggle on the price." Have your artist bid the job, and be sure to take their notes on how the design will hold up over time. "We don't know everything, but we do know our job," Huston adds. "When we offer advice, it's a good point to listen. We take into consideration a lot of factors, such as longevity, age, and placement." Their house, their rules. Respect. I often hear friends say they haven't gotten a tattoo because they never landed on a design they could live with "forever." Feed me a couple glasses of wine and I'll happily wax poetic on the beauty of nothingness and impermanence. If you're looking for a Jiminy Cricket to lead you into practical decision-making, I'm not your girl. I've scheduled sessions with Huston without fully knowing what I want. He laughs when I pop up into the studio to get something we've discussed well in advance only to text him an additional design on the spot. Tattooing is a physical embodiment that everything we do in life is permanent. I invite you to consider that the poetry fading on your arm may not have as reverberating a consequence as other choices. As best I can tell, the formula for never regretting a tattoo consists of two things: choosing designs that will have legs for you personally (art, family, spiritual guidance) and accepting that of all the things to regret in life, a scar is not one of them. Multiple people have attempted to deter me from going to the same artist over and over out of a fear of "becoming one person's canvas." I'm a loyalist by nature. My relationship with Huston is a special one in my life. I rotated through at least five artists at the parlor where he used to work before figuring out he was my guy. When he opened up his own shop, Shoebox Tattoo, I followed him faithfully. He recently told me I am the person he has tattooed the most number of times. I'm fairly certain for the least amount of money, being that a good number of my tattoos could rest comfortably on the surface area of a quarter. I stole the term "stamp collecting" from a friend's kid. She calls her father's assortment of tattoos "stamps." My tattoos feel like stamps in a passport. Save for my very first one, they have all been larks. I fall in love with a turn of phrase or drawing and decide I wanted to carry it around. I don't like talking about them much because they exist solely for my benefit. In fact, if they were invisible to everyone but me, I wouldn't mind. My tattoos are totems of things, art, people that meant something at a time. I've never regretted one, even when the times changed. At the risk of contributing further to the punishing dialogue that surrounds women's body-image issues in modern culture, I will say tattooing was, in no small part, a sort of rebuttal to my own physical hangups. I'll refrain from any self-indulgent, pedantic rants about the modern media or how I've never felt beautiful (stories for another time). I never wanted to subscribe to someone else's idea of beauty. 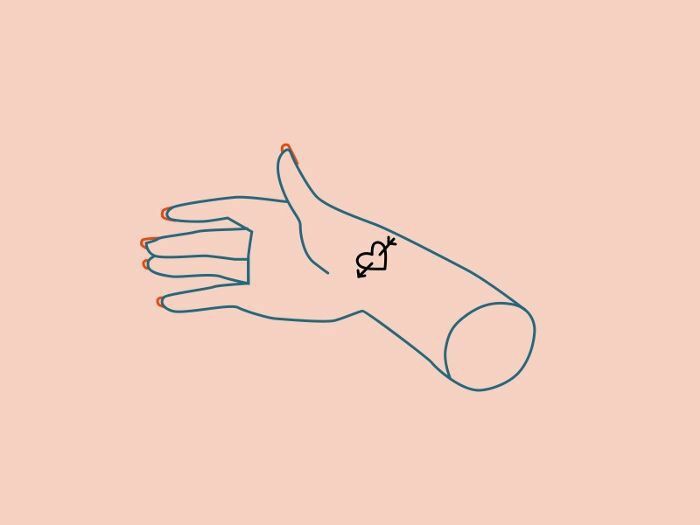 Post-adolescence, I often felt a disconnection from my body that tattooing seemed to mend. Tattooing is grounding. It made me feel human. The process itself is visceral and meditative. Marking my body morphed it into something precious and uniquely mine. It brought awareness to the fact that I was just a caretaker. I am not my body. Each time I get a tattoo, I hear the words "You will die." Not in an ominous way. It is a commonplace reminder of the transient, temporary nature of this shell. Pain is the touchstone to all progress. The goal of all life is death. We must live accordingly. When I go home for the holidays, I tend to break out an Audrey Hepburn–level collection of tailored turtlenecks. My mother tells me I look "elegant." I take that remark to mean gloriously ink free! My father, at one point or another, has openly told me he disapproves of all my tattoos, save for a small set of his initials on my wrist, which he calls an "undeserved honor." I grew up hearing the expression He's got more tattoos than teeth bandied about in Texas—a colloquialism I can only assume was meant as some sort of lowly caste-centric put-down. I can now assert I do have more tattoos than teeth. That fact does not and would not make my mother proud, but, alas, my mother is a generous woman. The long and short of it is that my parents aren't fans of tattooing. They worried visible ink would limit me in certain ways. In their day, it might have. Socially, I don't want to be a part of any club that wouldn't have someone with tattoos as a member. That precludes certain polite society circles, maybe. (Have I been called "tacky" to my face by girls in North Carolina? Yup!) I'm deeply okay with that. Have my tattoos ever negatively impacted my career? No. We live under the exciting umbrella of a post–Angelina Jolie world. All those pesky conventional feminine norms of yore are being taken apart brick by brick by each and every woman who redirects the narrative of female aspirational goals away from superficial beauty standards and into more serious terrain. Talk to me about consciousness and humanitarian efforts. Tattoos? No one cares. I'd still self-identify as shy. Sitting alone reading a book with tattoos and a leather jacket is an entirely separate experience from being a bookworm in high school. Quiet and introspective with tattoos reads as "aloof" or "tough" or "cool." I've never played anything cool in my life. I still get a kick out of anyone who sees my arms and thinks I'm a badass. I don't know of any biker gangs with Egon Schiele line drawings skirted about their biceps. Then again, I'd love to meet one. My father was very ill years ago when he held onto my wrist, stared at his initials etched permanently into my bones, and said, "That's real love. I still can't believe you did that. That's real. Real love." Some people don't need a scar to tell them that. If you think you might want one, go see my friend Lantz Huston. I'll give you his number. Get your own tattoos. Don't ask me what mine mean. No one cares. That's the best part. I took the liberty of fielding some frequently asked questions from around the Clique Offices. Here are my responses to the most common lines of inquiries around my personal tattoo experience. Q: How often will it need to be touched up? A: Large scale designs will need touch-ups. Aside from the tip, one touch-up session is generally included in the fee. Shading might need evening out (especially with white tattoos). If you're getting a larger design, you’ll need to wait for it to fully heal before getting touched up. Most shops will recommend five weeks. Ask your artist what might need to be touched up. They will be able to predict how they think the design might heal. If there's line work over a mole or scar, for example, it could require an extra session. Q: What body parts are the most painful to tattoo? A: In my experience, pain threshold is a personal thing. Every Pilates class I've ever taken is more painful than tattooing. The only place that really hurt was my second rib tattoo, which required 50 minutes of shading. It's not always what's next to the bone. One inch off can be a huge difference in pain. I met a girl once who insisted I was a liar and every tattoo was a wildly excruciating experience. It just depends on who you ask. Huston has tattooed my ribs, my ankle, and the inside of my arms (all allegedly some of the most "painful" spots), and I've straight up fallen asleep in the chair before. I maintain tattoos aren't painful unless you're with an inexperienced artist or under the gun for an extended period of time. (My 50 minutes of straight rib tattooing? Yeah. That hurt.) "Most people work themselves up that it's going to be super painful," says Huston. "The first tattoo is usually way less painful." A: Keep it wrapped for the first hour; then let it breathe. The first few days, clean it with fragrance-free soap a few times a day and apply balm. I prefer Burt's Bees Res-Q Ointment. Avoid soaking (don't swim or take a long bath) for the first five weeks. Q: What’s a normal price range? A: Artists charge by the hour, and their fees vary. Most will require a deposit in advance, often half the cost of the session. First-time consultations are generally free. Some shops don't take walk-ins. Personally, I’ve paid anywhere from $80 to $250 an hour for a single session. If you're getting something small, artists will sometimes cut you a deal, but it's at their discretion. Don't forget to tip! Q: What if I'm unhappy with the design? A: It's bad business to negotiate on the back end. Get your concerns out upfront. If you're worried a design might fade, bleed, etc., talk with your artist ahead of time. Ask them how fine the line work will be. How many needles are they using? Ask them point blank what to do if you aren't happy with the work. It's your body. Now is not the time to be demure. When they place the stencil, live with it for a few minutes. Move around and check out how it changes. Don't hesitate to have them make it bigger, smaller, place it somewhere else, rotate it by just a hair. Q: I got turned away because the artist refused to place the tattoo where I wanted. A: Tattooing is an art form. Treat it as such. Artists care about the integrity of their work. If they're confident the design will be compromised or won't hold up, the good ones will pass on the work. That said, I've spoken to different artists that have very separate comfort levels with where they'll tattoo. Mark Walker (@walkerx) does beautiful palm work. Sean Williams (@seanfromtexas) can do just about anything, from the soles of your feet to superfine lettering that'd fit on a dime. Seek a second opinion. Q: Can I drink before a tattoo? A: Don't go on an empty stomach. Do not consume alcohol or take aspirin, as it will cause your blood to thin, resulting in more bleeding. Save the celebratory toast for afterward. Eat something one hour before your tattoo session. You will have to sign a waiver stating the last time you had a meal at any reputable parlor. In my experience, even small tattoos trigger a strong adrenaline response in your body. Have a question about getting your first tattoo? I'll answer it in the comments. 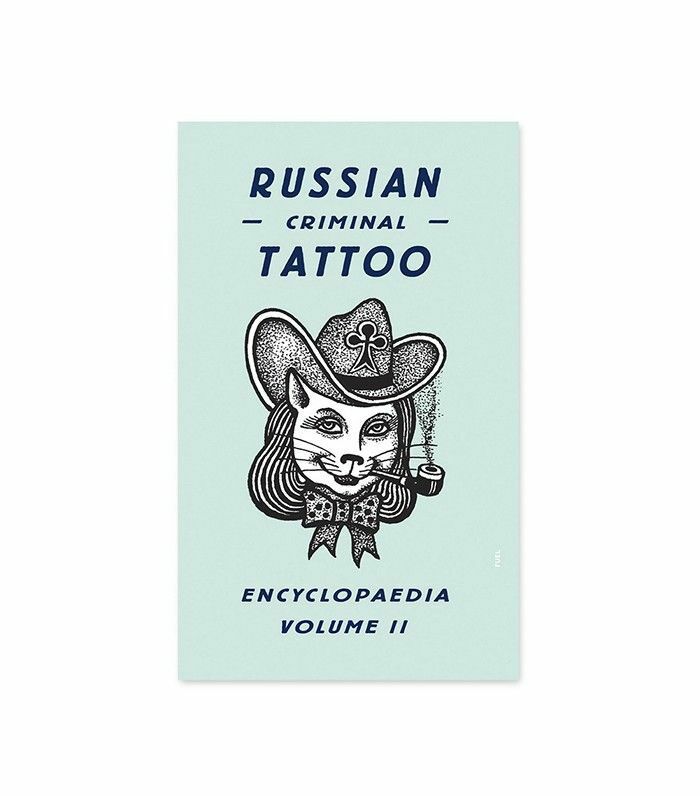 In the meantime, shop a few of my favorite tattoo art inspiration books below. 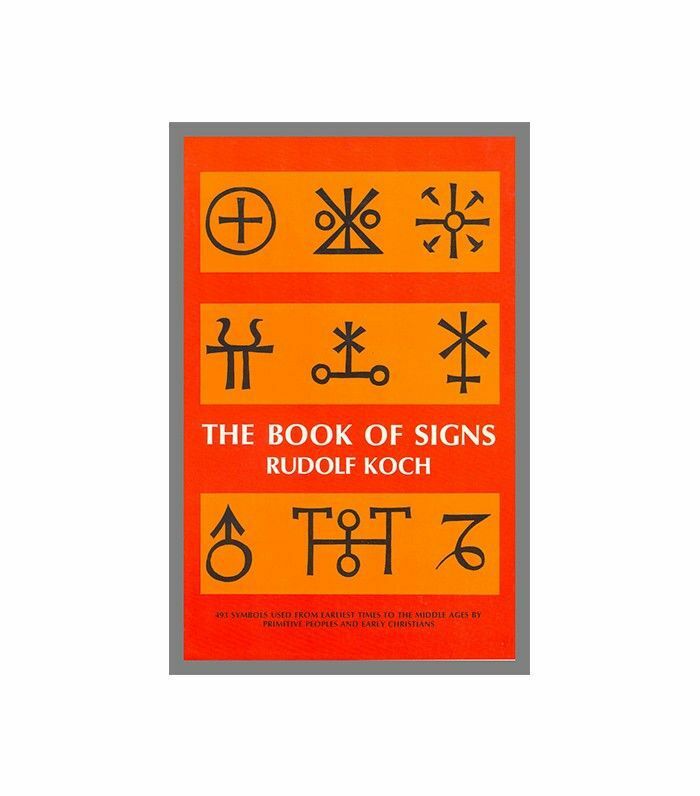 With 493 classified and documented illustrations, collected, drawn, and explained by celebrated typographer Rudolf Koch, The Book of Signs contains symbology from religion, astrology, astronomy, botany… everything under the sun. It's famously the book Led Zeppelin bassist John Paul Jones used to select his band symbol—a single circle intersecting three vesica piscis (a triquetra). Check out Picasso's metamorphic line work for inspiration in minimalistic yet expressive designs. 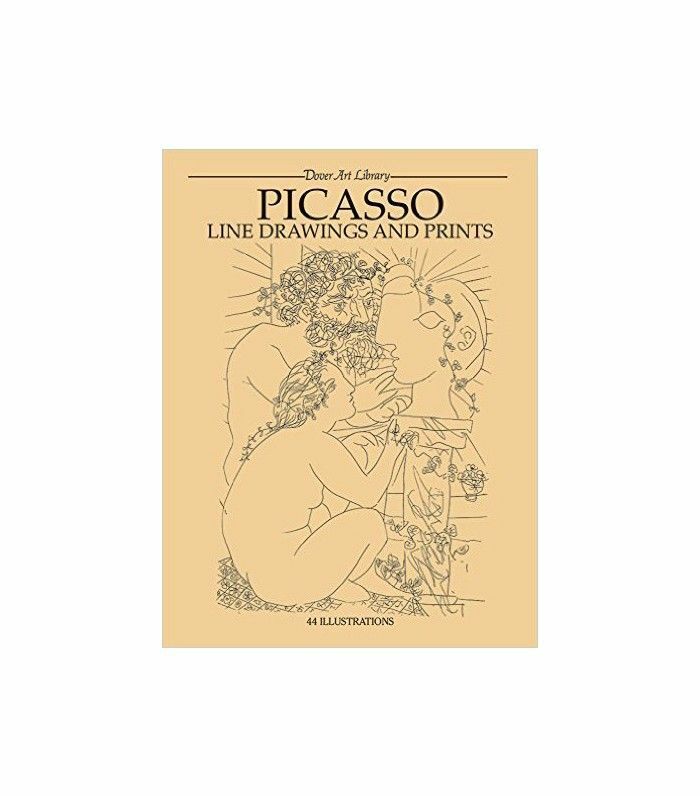 This book series features a slew of artists' line drawings and prints, from Egon Schiele (my personal favorite) to Gustav Klimt. Danzig Baldaev's intricate 30-year documentation of a Soviet prison population includes more than 3000 tattoos and their meanings. The drawings and text run from beautiful to grotesque in this multi-volume bestseller. It's an incredible collection of work. David Cronenberg's gangster film Eastern Promises is also rife with inspiration of a similar ilk.